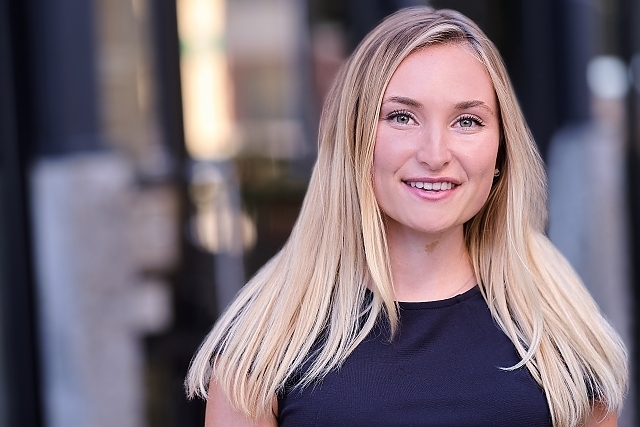 Hana McLaren joined District Real Estate Advisors as Brokerage Coordinator in December of 2018. Bringing her experience managing commercial office space in a fast, upscale environment, Ms. McLaren has demonstrated her ability to exceed client expectations, develop informed marketing strategies, and earn the respect of colleagues and other constituents in a short period of time. Ms. McLaren’s attention to detail and forethought are clear in her proactive, solutions-oriented approach, and she consistently operates with a level of integrity and energy that are reflected in her dedication to her clients. Ms. McLaren graduated from Boston College in 2017 with a Degree in Applied Psychology and a concentration in Leadership and Management. Originally from Old Lyme, CT, Ms. McLaren now resides in Beacon Hill, and is an enthusiastic member of the Boston community. In her spare time she enjoys traveling, skiing, cooking, and spending time on the water. Hana McLaren is an active member of the International Council of Shopping Centers (ICSC) and a licensed Real Estate professional in the state of Massachusetts.